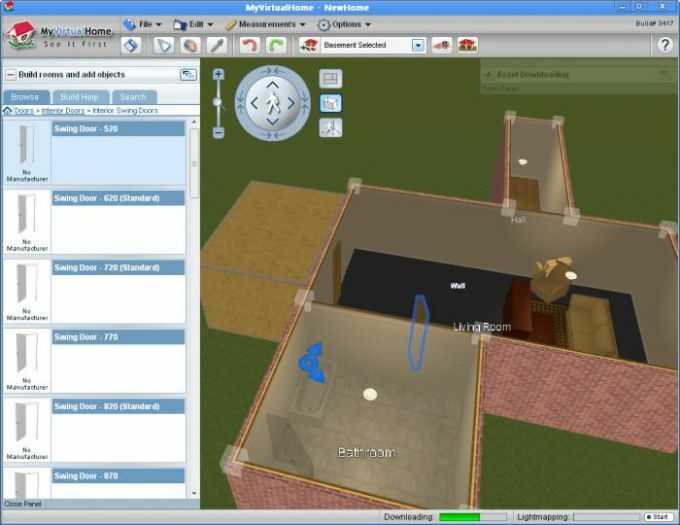 MyVirtualHome is a 3D home design app that takes its inspiration from the visual language of base-building video games. You can use it to choose and deploy standard room blocks then modify them by adding new furnishings changing colour schemes and more. Once you've created the design you can take a virtual tour of it from first-person perspective to get an idea of how it looks. You can also modify the exterior of the building adding features to the garden. just click on them and a menu will pop up showing you their palette and other options. Similarly you can move pieces around your design by clicking and dragging. As with any home design software the main limitation is the availability of the pieces you want. The app has a reasonably varied list of features but if something you want isn't included you can also use its menu to search for examples online and download them into the model. 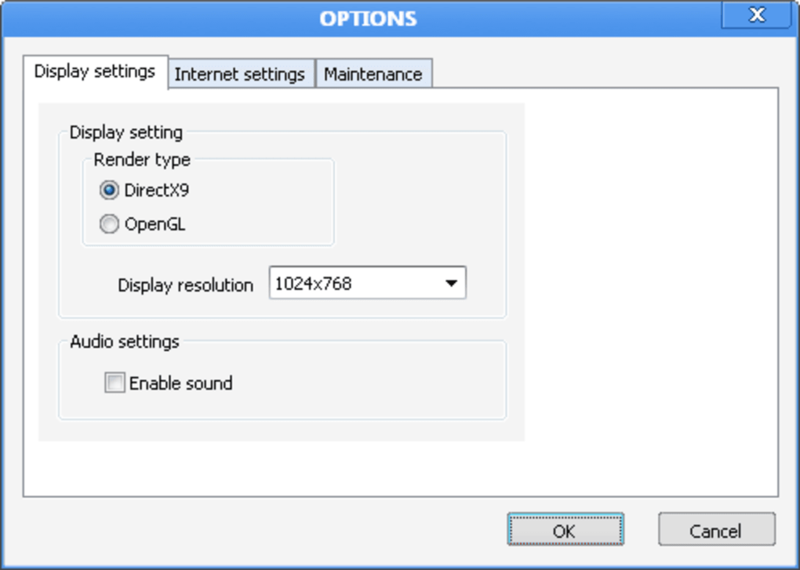 Because this software is designed for the Australian market technical support can be hard to reach in UK business hours. 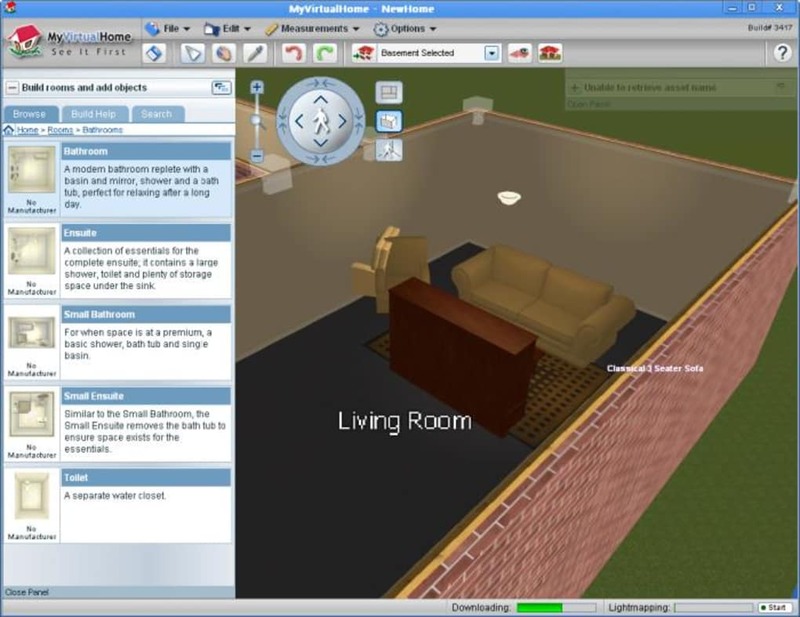 An easy to use, fully functional home design program. MyVirtualHome allows you to easily create your dream home or apartment. You can import a plan or create a design from scratch. Choose from thousands of real products to place in your design and then walk around it in amazing real time 3D. 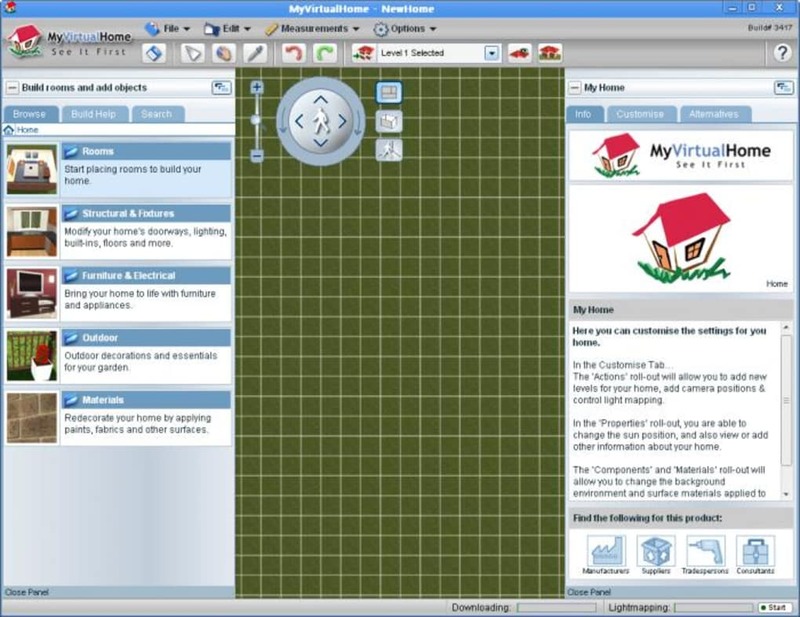 MyVirtualHome uses a simple and intuitive menu system that will get you started fast. Most people can learn the basics in 10 minutes and are creating a full design in less than an hour. The software also features an incredibly accurate lighting model that lets you set your lat/long and time of year for amazing shadow and real time lighting effects. 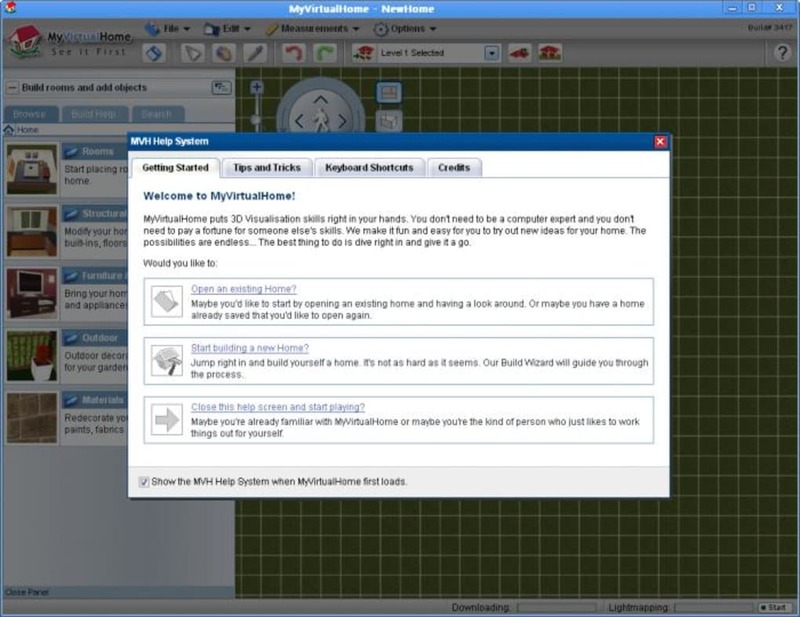 Easy click to place home design program. 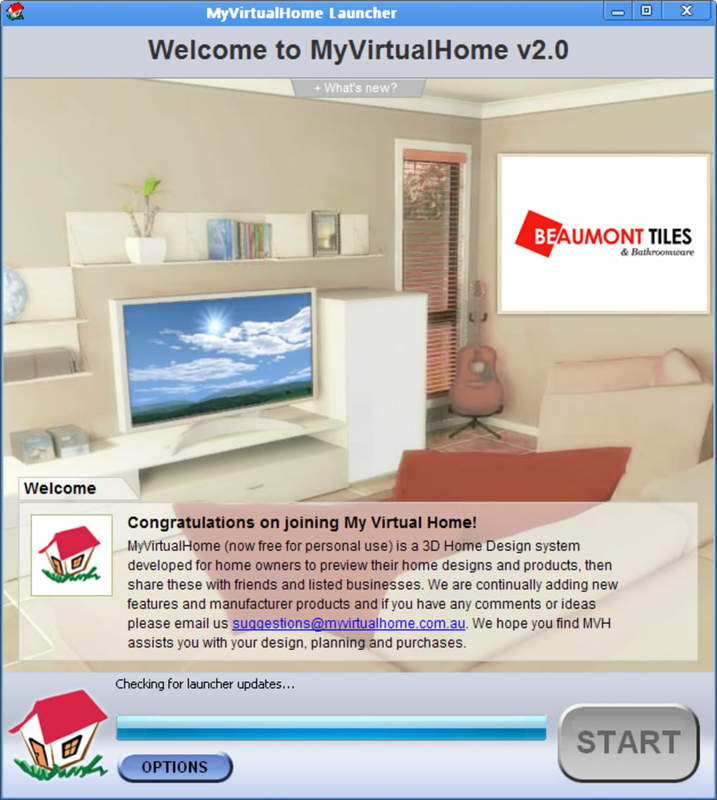 I have used MyVirtualHome since I received a free copy with the Better Homes and Gardens magazine many years ago. As a frustrated Architect I have designed many a dream home using this product. I have had the occasional glitch over the years when it refuses to load but I just download a new copy. 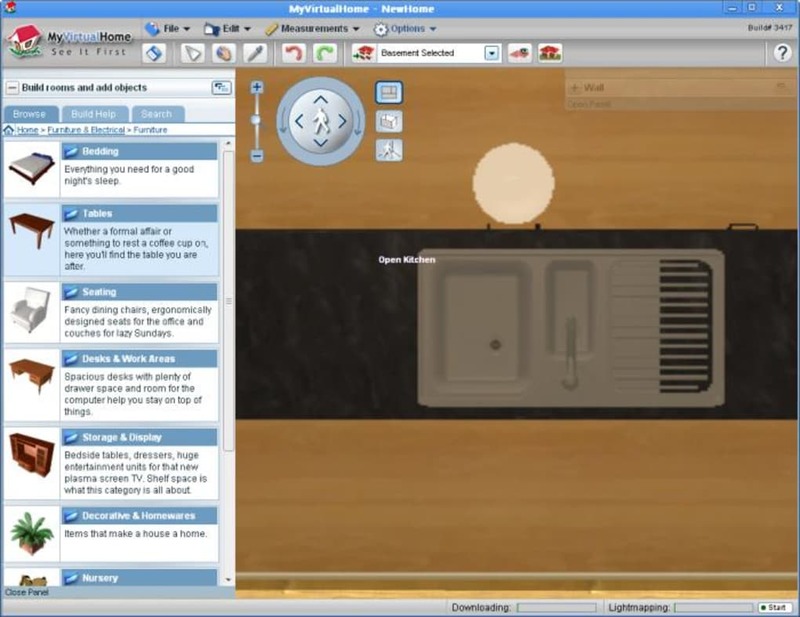 I would like to see more adjustable components like kitchen cupboards, furniture sizes and more decor items but overall this is an easy to use program with great graphics. One click to make a room, no fiddling around making walls. click to place item in rooms. More control when adjusting size of rooms. better/more choice for fabrics, wallpaper, kitchen appliances. What do you think about MyVirtualHome? Do you recommend it? Why?